Posted January 7th, 2014 by David Porter & filed under General, Hot Topics, Social. Clowns? We got them. Send in the Clowns, Or Not …. Everybody loves a clown, don’t they? Circus clown, party clown or puppet clown. Film clowns, nightmare clowns. Everybody…no? The joker/prankster who decided to dress up as a clown, may have had all sorts of motives. Quickly labelled the ‘Northampton Clown’ by the local newspaper. He knocked on a door and offered to paint their sills despite having no equipment in sight. Within a short time he was on Facebook and Twitter, #northamptonclown. Lots of people with little better to do looked for him – The Northampton Clown Catcher. The man behind it turned out to be a university student, Alex Powell, a young man with ambitions to be a film maker. 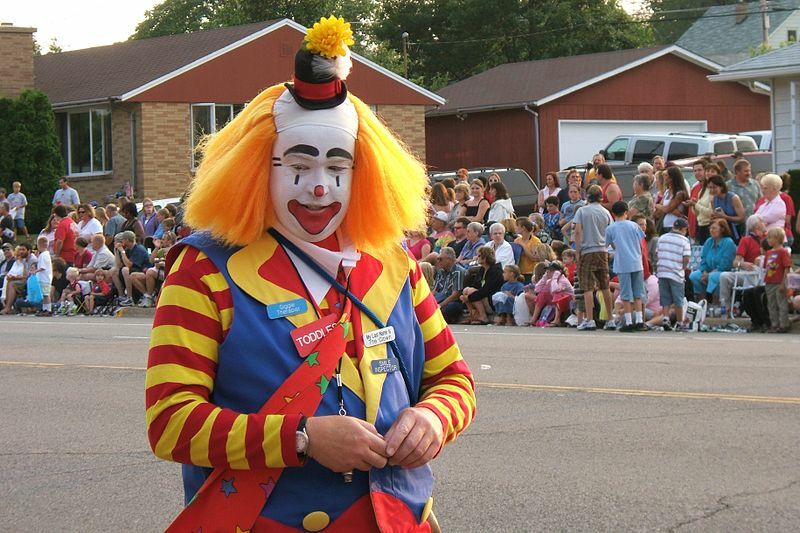 A spate of other linked clown stories have since emerged as the phenomenon spread across the country, which have led to Clown International’s leader ‘Bluebottle’ lamenting such impersonation is giving the real clown fraternity a bad name.